We appreciate you visiting Deckstainhelp.com as we continue to be your go-to source for the latest in deck restoration news and trending topics through 2019. Below, we talk about Paraffin Oil Based Decking Stains. Feel free to leave a comment below with any pictures you may have. Most deck stain manufacturers today use both synthetic and natural oils in their products. There are several types of oils that are used in oil based deck stains. Paraffin Oil is one of the more common types of oil used today. Paraffin is an excellent penetrating oil. Deck stains containing paraffin oil penetrate deep into all wood types. 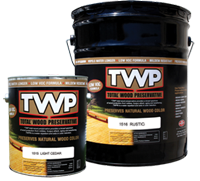 It conditions the wood while preventing UV fading and water damage. 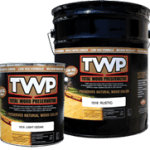 Paraffin oil penetrates so well that it is recommended for newer wood decks. The newer the wood the denser it is. Some deck stains will not penetrate the newer dense wood and will remain on top of the surface. Paraffin deck stains are able to penetrate newer more dense wood for optimal absorption and outstanding protection.